1 towelette in individually sealed package. 100% natural, chemical-free formula. 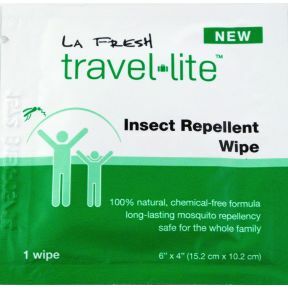 Long-lasting mosquito repellency. Safe for the whole family.